The Tata Nano was created to become the cheapest vehicle around the globe, but it has not prevented JA Motorsport to change it into a mighty small vehicle by changing the two-cylinder powertrain producing 38 hp into a bigger four-cylinder 1.4-litre powerplant. It approximately produces 230 hp (or 171.5 kW). 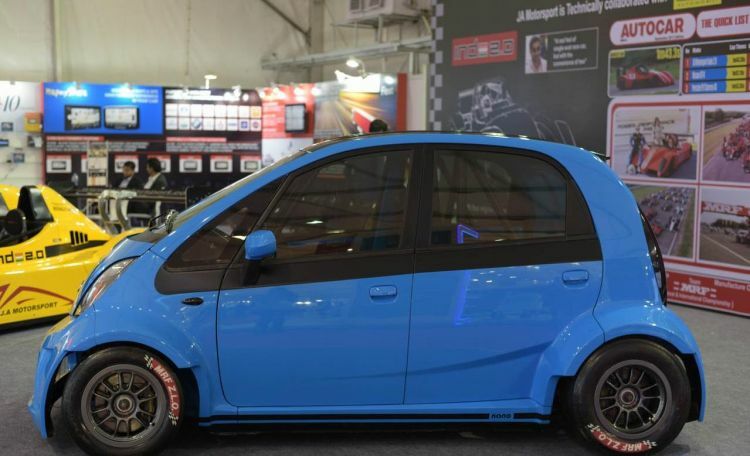 It enables the “Super Nano” to achieve a top speed of 190 km/h (or 116 mph) which is considerably more than the stock vehicle usually produces (around 105 km/h or 65 mph). The model has retained the back-wheel drive layout. At the same time, almost everything has been redesigned. The vehicle has now a full body kit, AP Racing braking system, bolt-on roll cage, MRF ZLO racing sticks and smoked headlamps and taillamps. There are two Recaro seats inside the vehicle, carbon inserts on the control panel, elimination of the rear bench for decreasing the weight and race-spec helm with paddle shifters.